We are involved in providing the excellent assortment of Flip Top Cap. Moreover, we offer this product at nominal costs. 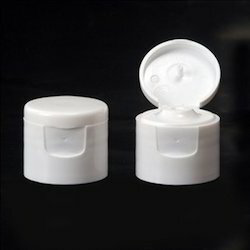 Our Plastic Flip Top Caps are designed according to latest trends in packaging industry. 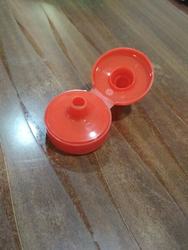 These caps are fabricated from best grade plastic available in industry and are known for their excellent anti-leak proof feature and high quality performance. Available with Gold / Silver Foiling. We offer premium quality 19 mm Flip Top Cap Long Neck that are used as cap/closure in variety of bottles.